Step into one of 145 comfortable guest rooms, and escape the stresses of the day. Share panoramic views of the city of Salta, Lerma Valley, and the Andes from each guest room. Hollywood star Robert Duvall’s hotel includes a ranch and a spa and is just a five-minute car ride from the City Center. It’s for those with heavy wallets. The hotel is in beautiful style in beautiful surroundings. You might even get a glimpse of The Man himself. Modern hotel and popular among businessmen. Close to Plaza 9 de Julio, the Cathedral, the Cabildo and the business district. Spanish colonial style, elegant and comfortable. 98 recently restored rooms. Centrally located. Intimate, traditional and great service. Spanish colonial style. Luxurious, in the business district and near historical sites. Good view of city from San Bernardo Hill. Spanish colonial style. 14 minutes from downtown, set in natural surroundings. On Plaza 9 de Julio. 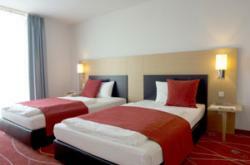 96 comfortable rooms and good tourist services. Centrally located 3 blocks from Plaza 9 de Julio. Facing Plaza 9 de Julio, Centrally located. Located near bus terminal. Not far from city center. Three blocks from bus terminal, six blocks from central pedestrian walk. Two and three totally furnished bedroom apartments in City center. Rental by day, week, month. Up to eight guests. Large rooms. Located at the City center. Feel at home in these fully equipped apartments. A magic castle in San Lorenzo Ravine. Quaint and located in the center of town. In Punilla valley, comfortable and surrounded by vineyards and magnificent scenery. Centrally located in beautiful Calchaqui Valley. Located 84 Km from downtown. Overlooks the largest artificial lake in northern Argentina at Cabra Corral damn. Great views and lots of water sports. This page rendered in 0.564 seconds.